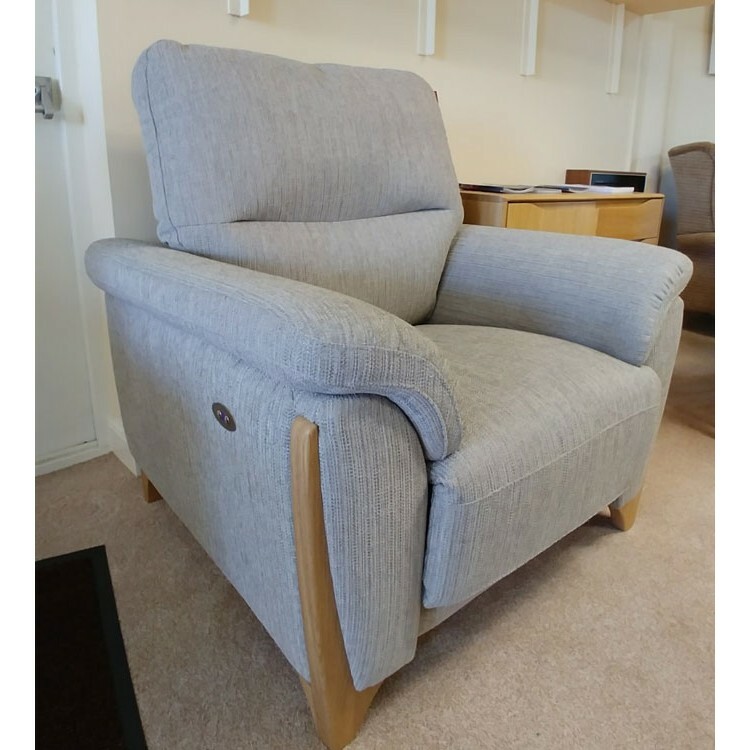 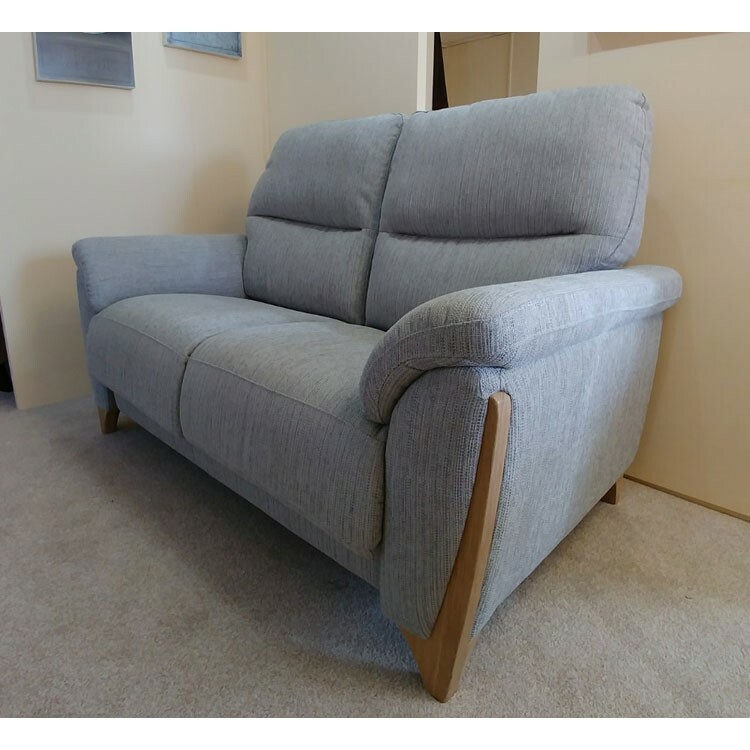 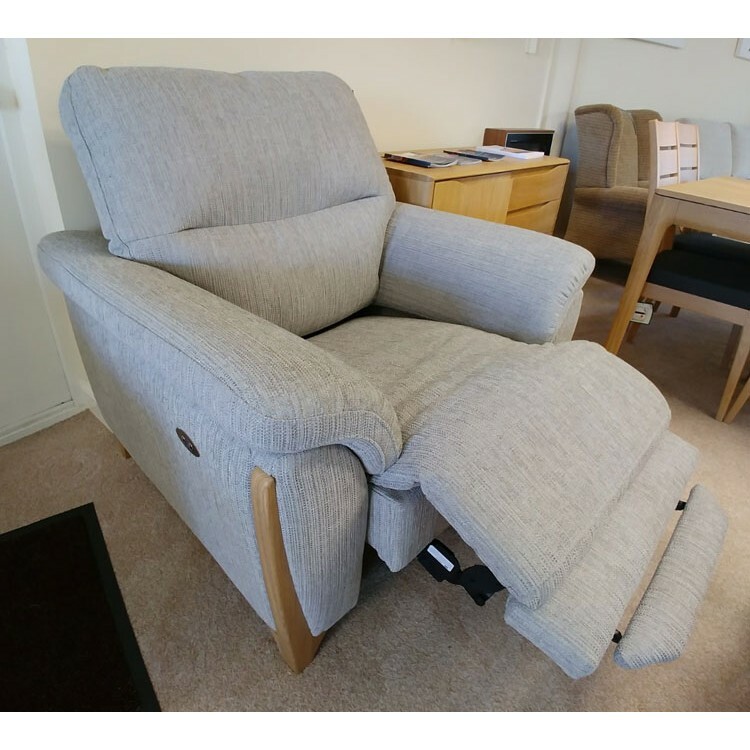 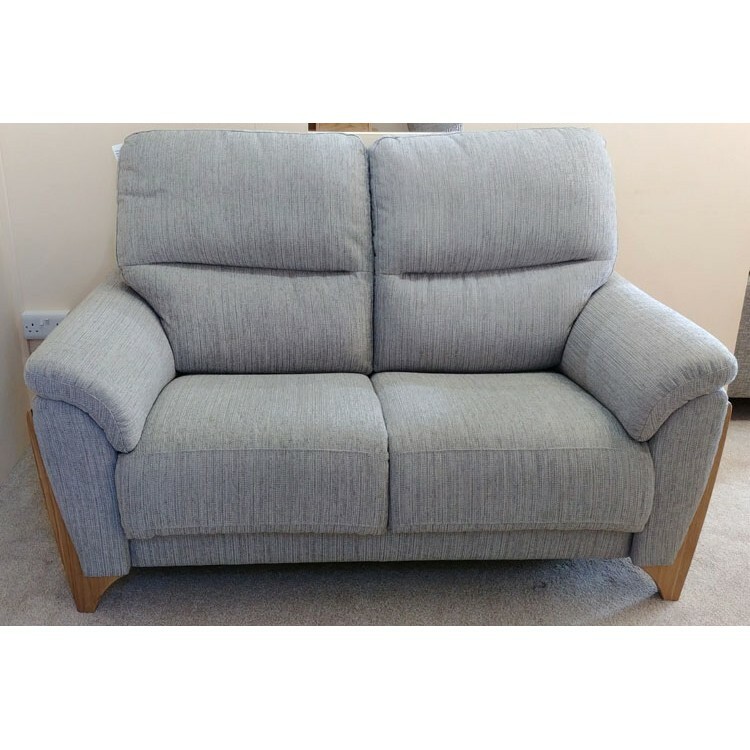 Ercol Furniture Enna Medium Sofa and Power Recliner Chair in fabric. 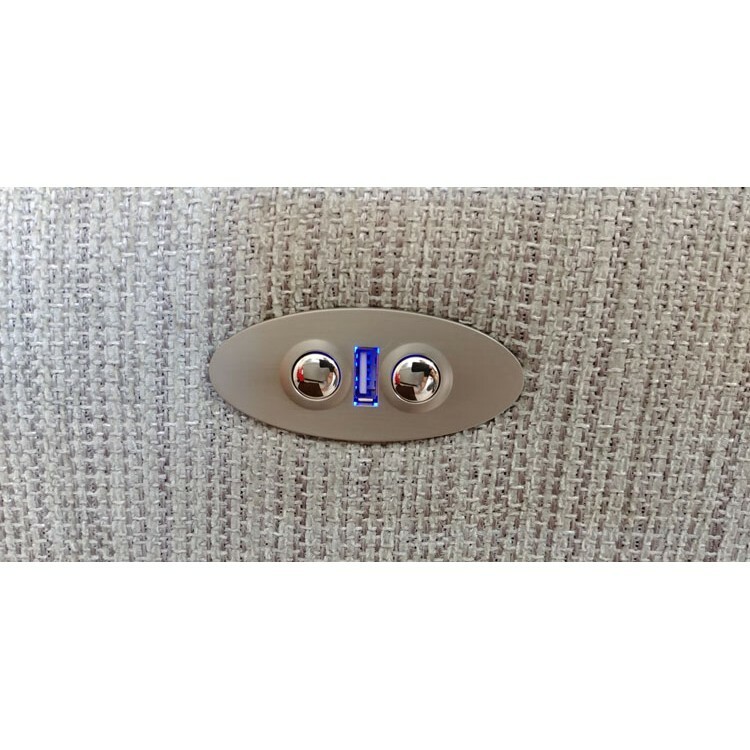 Fabric: P101 Sample of fabric available upon request if you call or email us. This is an easy to use power recliner chair which even has a USB charging point between the forward and backward buttons.